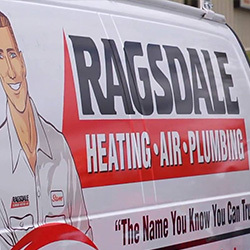 Serving the area for more than 20 years, Ragsdale Heating, Air & Plumbing is the contractor you can count on for quality plumbing and HVAC service in Hiram. Our company is built on rock solid standards of honesty, integrity and quality. We have some of the best HVAC and plumbing warranties available and we stand behind our work with a 100% satisfaction guarantee. Our plumbers and heating & air conditioning repair techs receive ongoing training, ensuring your service, repair or installation work is performed right the first time. We always bring an attitude of confidence and integrity and make sure you are well taken care when you're faced with plumbing, heating and air conditioning issues in your Hiram home. Don't hesitate if you are having problems with your furnace, air conditioner, heat pump, water heater or any other plumbing and HVAC equipment. We offer 24 hour emergency service and are ready to help anytime issues arise. At some point, your furnace, heat pump, air conditioner or HVAC system will likely have a problem. No need to worry though, Ragsdale HVAC experts are closeby and ready to diagnose and repair your HVAC system. We repair all makes and models of heating and cooling equipment and are technicians arrived with the proper tools and training to ensure a proper repair. We hire only the best and friendliest HVAC repair technicians that are experienced and factory-trained. They have seeen a lot and can handle any heating or air conditioning problem you throw at them. Your heating & cooling system is a vital component of your home that can't be neglected. Whether it's regular maintenance, new installation or emergency HVAC repair, Ragsdale is the HVAC contractor to call in Hiram. Ragsdale Plumbing is a licensed, bonded and insured plumbing contractor serving Hiram with quality service you can count on. Our plumbers always perform a thorough examination of your plumbing problems and take the time to help you understand all repair or replacement options so you won't be hit with any surprises. We know your time is valuable, and our plumbers strive to arrive within the scheduled time frame and provide prompt service to get your plumbing issues resolved quickly. We make it our goal to exceed your expections when you need a plumber. Are you suddenly without hot water in your Hiram home? That's why we're here. With expert water heater repair, preventative maintenance and new installation when you need it, our plumbers will get your hot water flowing again. No matter the make or model of your water heater, we can help you solve your water heater problems. Our plumbers are trained to diagnose and repair all types of water heaters, from traditional storage tanks to tankless water heaters. Clogged sinks, bathtubs, showers, toilets and other drains can be a real headache. Perhaps you've tried plunging and pouring chemicals down your drain, but the problem keeps coming back. It's time to call Ragsdale Plumbing! Our plumbers can eliminate the annoyance of these clogs once and for all with a professional drain cleaning. Your home is unique and we can help select the best products and procedures to optimize your home. With ongoing training and years of experience, our HVAC technicians and plumbers know their stuff and will make sure you are getting the right HVAC and plumbing service and equipment to keep your home in Hiram, GA comfortable. Give us a call or schedule your service online today! "The techs from Ragsdale were great! They arrived on-time, diagnosed my problem and gave two very reasonable estimates of solution. The customer service of this company is outstanding!"